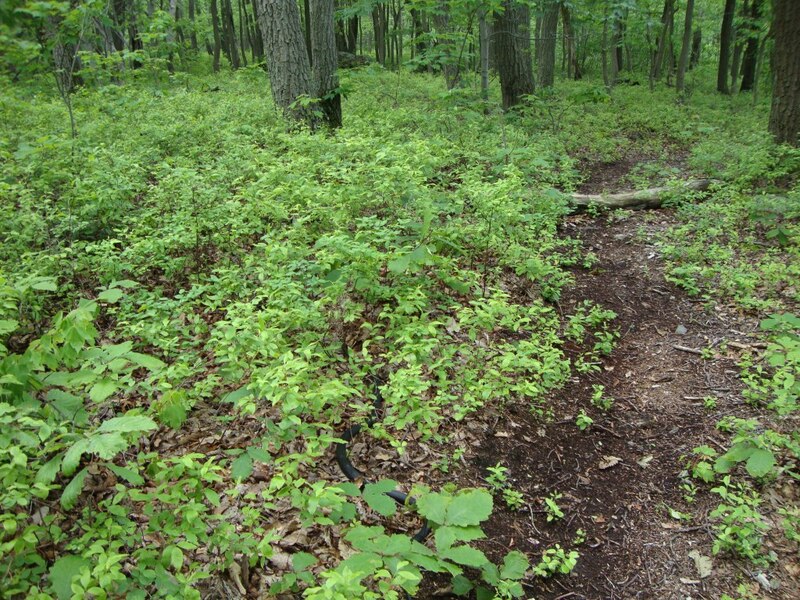 While up on VA Rocks trail at Michaux, I came upon a beautiful black snake that was somewhere around 4-5 feet long. I quickly grabbed my camera, hoping to get a shot before s/he slid away into the brush. In the middle of the photo below, you can see him/her. Be kind to snakes.